The score means the Lagos club crashed out of the 2018 champions league on 7-2 aggregate following a 2-1 home victory a fortnight ago. The hope of Lagosians to continue enjoying continental football has been dashed as their darling club could not withstand the firepower of their opponent. Mountain of Fire Ministries (MFM) FC have crashed out of the CAF Champions League after suffering a disgracing 6-0 defeat to MC Alger on Saturday. 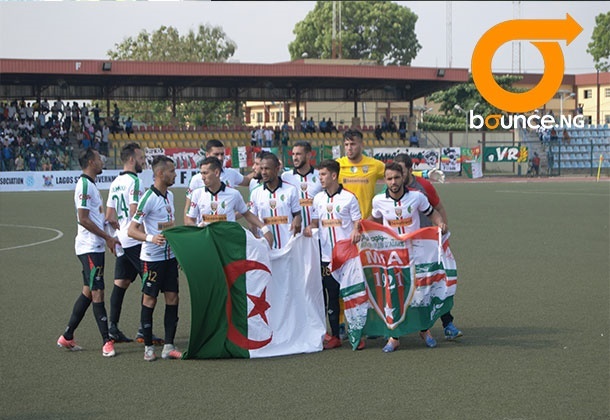 The Algerian club wasted no time showing their intent of advancing to the group stage when they took the lead just two minutes into the game through Bendbeka. Eight minutes later, Derradja extended their lead before Nekarchi and Karraoui made it four before half time. MC Alger added two more goals after the break to reduce the Nigerian club to the CAF Confederation Cup.